After all the weather reports about the heat today I was ambivalent about flounder fishing today, however it turned out not to be that hot here on the water. 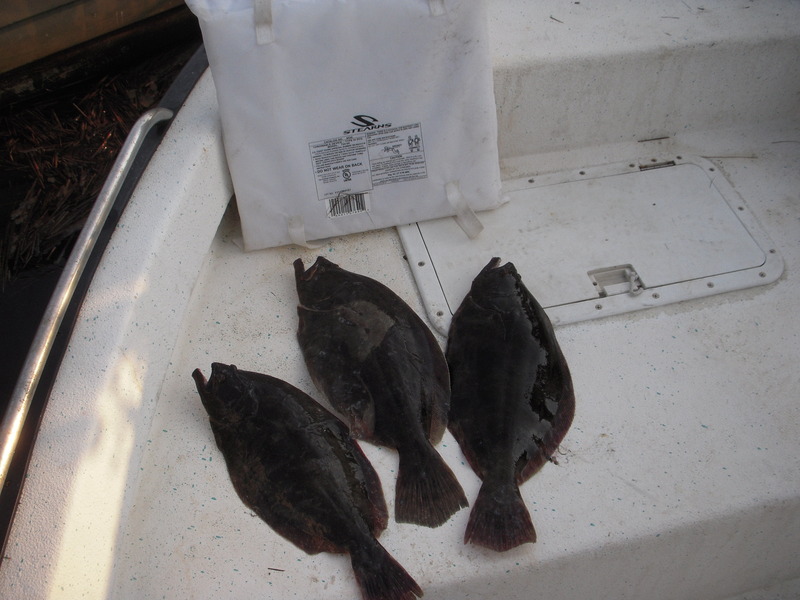 I headed across the backbay for a one hour flounder fishing trip. On the way back I had three keepers in the box. The water temperature was 69 degrees, water clarity was a 7.